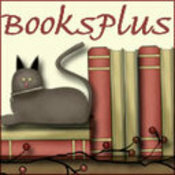 BOOKS - hardcover, softcover, audio fiction and non-fiction, cookbooks, and children's books. PLUS - all kinds of things including home and office items, craft items, toys, clothing, jewelry and much more. I read A LOT. You will find new books frequently. I just retired so I am reorganizing my home and clearing out my office stuff so I'm able to get on with my 'new' life. You could find absolutely anything in my booth. Come and chat, stay awhile and look for some really good deals. lindal25 doesn't have any items in their booth! Great seller! Fast shipping and wonderful communication. I would highly recommend Linda to anyone and would not hesitate to buy from her again. Great customer and buyer , very pleasant to deal with. My first sale in this booth. Miss Coco Girl gives this seller two paws up! Such a nice customer and seller. They just don’t get any better than this! Many great deals to be had here!